The Atlantic Club, located on the far southern end of the Boardwalk, was 10th in annual gaming revenues among the market’s 12 casinos in 2012. The casino’s revenue fell 11 percent in 2012, to $127.2 million. The property was originally opened by Steve Wynn in 1980s as the Golden Nugget, but is one of the smallest and most unprofitable properties in the market. We would think that PokerStars would invest fresh capital in the property, which would be an overall positive for the city, Union Gaming Group Managing Director Bill Lerner told investors Wednesday. Macquarie Securities gaming analyst Chad Beynon said in the research note that PokerStars would look to turn around prospects for the casino, but the deal clearly gives the company a foothold on the New Jersey online gaming market. In December, New Jersey lawmakers approved a bill to allow online gambling in the state. The measure is awaiting action by Gov. Chris Christie, who has not yet said whether he will sign the bill. He has until Feb. 4 to take action. It is also unclear how the ultra-strict New Jersey gaming regulators will view the deal. PokerStars agreed in August to pay $731 million to the federal government to settle a nine-count indictment stemming from the April 2011 crackdown on illegal Internet poker. The company didnt admit to any wrongdoing, paid back money owed to American players, and agreed that a portion of the settlement money would be used to pay back Full Tilt customers. 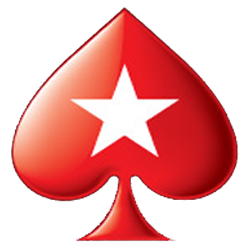 PokerStars is also allowed to operate in states where online gambling is legal. Eric Hollreiser, the head of corporate communications for the Rational Group, said in an email the transaction would secure up to 2,000 jobs at the Atlantic Club. During this interim period, the Atlantic Club Casino Hotel will operate as normal under current management, who will be retained following completion of the acquisition, Hollreiser said.